UN, February 20 is the WORLD DAY OF SOCIAL JUSTICE and People in Middle East say; o Yah? The best beloved of all things in My sight is Justice; turn not away therefrom if thou desirest Me, and neglect it not that I may confide in thee. By its aid thou shalt see with thine own eyes and not through the eyes of others, and shalt know of thine own knowledge and not through the knowledge of thy neighbor. Ponder this in thy heart; how it behooveth thee to be. Verily justice is My gift to thee and the sign of My loving-kindness. Set it then before thine eyes. Citing uprisings across the Middle East where people lack adequate social protection, top UN officials Saturday called for a new era of social justice that offers basic services, decently paid jobs, and safeguards for the poor, vulnerable and marginalized. UN International Labour Organization (ILO) Director-General Juan Somavia also highlighted the linkage between social justice and national stability, citing the protests in North Africa and the Middle East that have already driven Tunisian President Zine El Abidine Ben Ali and Egyptian President Hosni Mubarak from office. At its sixty-second session, in November 2007, the General Assembly of the United Nations proclaimed 20 February as World Day of Social Justice. The day is to be observed for the first time in 2009. The observance of the day should contribute to the further consolidation of the efforts of the international community in poverty eradication, promotion of full employment and decent work, gender equity and access to social well-being and justice for all. February 20 is the WORLD DAY OF SOCIAL JUSTICE. The World Day of Social Justice will contribute to the efforts of the international community in poverty eradication, the promotion of full employment and decent work, gender equity and access to social well-being and justice for all. Participating governments have made a commitment to the creation of a framework for action to promote social justice at national, regional and international levels. They recognize that economic growth should promote equity and social justice and that “a society for all” must be based on social justice and respect for all human rights and fundamental freedoms. 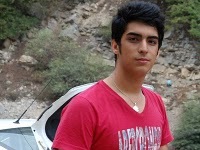 Arad Eshatiagh is a Baha'i and he is expelled from school. In Iran it is a crime to be a Baha'i punishable by being expelled from school!! Just open up the news and all you hear is about injustice. Having only one day to remember the importance of Social justice in this world of injustice does not indeed do the justice!! This headline in the blog خبر نورد speaks of yet another on going rampant human rights violations of the Baha’i student in Iran. The blog reports that Arad Eshtiagh, was expelled from school on the account of being a Baha’i. What do we do about it? What should we do about it? The situation of the Baha’i children and students in Iran and the on going violations of their human rights by the Islamic Republic Regime of Iran speaks of a global community that is helpless to administer justice. The cry of the youth in Egypt and the rest of Middle East, is not just for Democracy or secularism or just another face to the same. At the core of their cry is asking for social justice, for integrity, for the maturity of humanity to understand the oneness of all humanity. That we are the leaves of one tree, the flowers of one garden, the waves of one sea, the cells of one body. We are one, whether we believe it or not. This entry was posted in Education, Farsi, history, human rights, News, Questions and tagged Arad Eshtiagh, Bahaí Faith, Bahaí students in Iran, Bahaú'llah, egypt, Egyptian President, Hosni Mubarak, ILO, justice, middle East, oneness of humanity, revolt of the youth, Secretary general Ban Ki-moon, Tunisian President Zine El Abidine Ben Ali, UN, uprising, World Day of Social Justice. Bookmark the permalink. Uploaded videos (playlist): http://t.co/znID80Okuf via @youtube, the Forces of Evolution is the talk by Arsalan Geula M.D., Ph.D.